With 20 years of experience in the technology industry, I bring the kind of high-level expertise usually reserved for large companies to your small business. Depending on the size of your business, I can help you in a number of ways. For larger companies I can bring in additional expertise as needed for complex technology projects. For example I can work with your existing technology staff or consultants to help nail down final specifications. Or I can help your company recruit additional staff or consultants if necessary. I can also oversee technology vendors to ensure that you are getting the best possible value for your money. 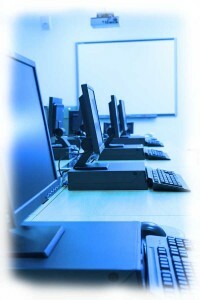 For smaller businesses, I can also help with technology projects in similar ways to larger companies. Just because your company is small does not mean that you deserve lesser-quality technology expertise. Most of my clientele are small and very small companies and I am very happy to work with your small business. Whatever your technology need, Marcel Brown should be your FIRST call. Don't rely on inexperienced, inferior, or biased technology advice when you can be working with The Most Trusted Name in Technology!